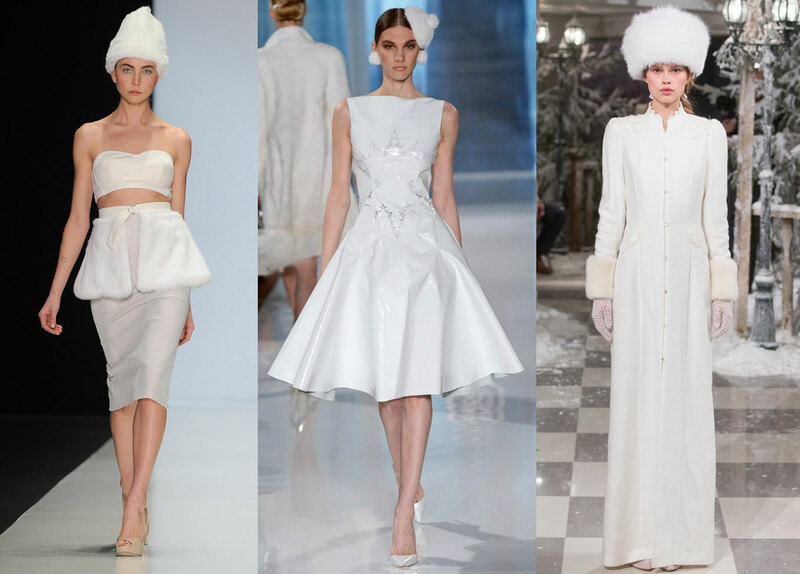 White would make a powerful statement this Fall, and the verdict: wear it head to toe. There’s something about winter white in a classic cut like a trouser or pencil skirt, so alluring and chic. 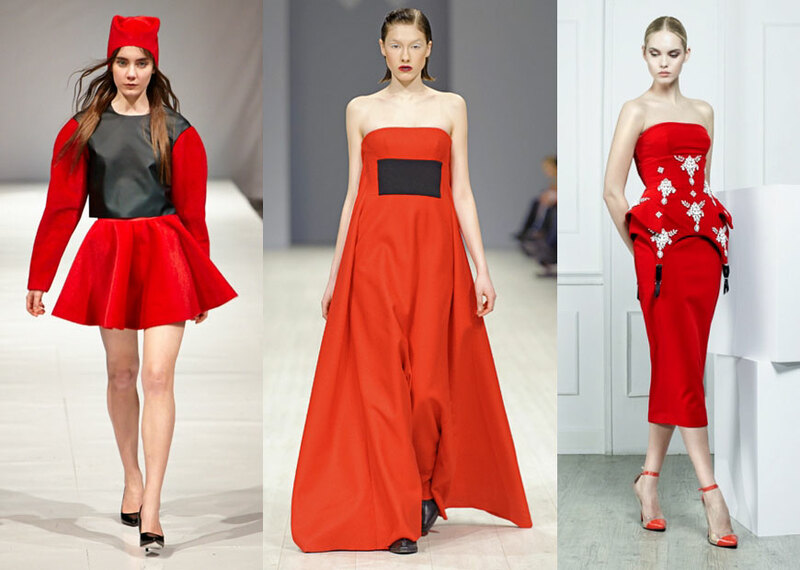 Scarlet fever is in the air. 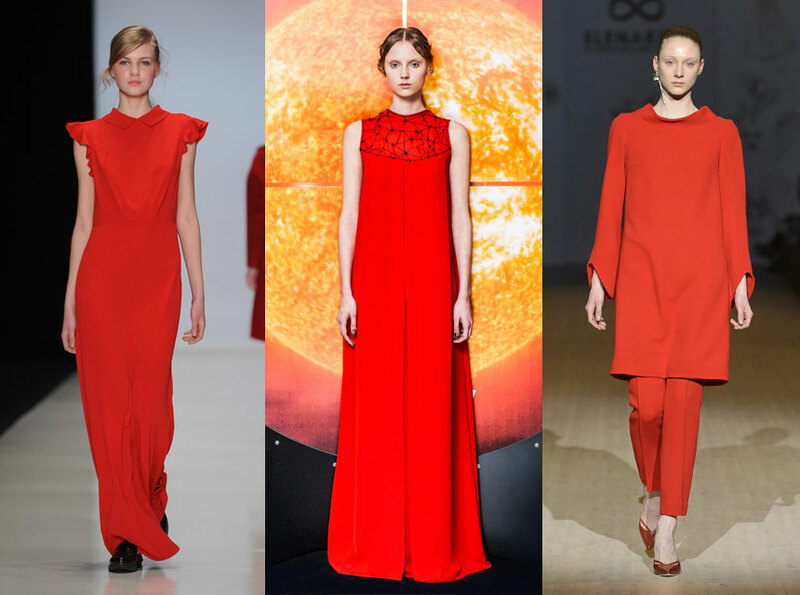 Bold shades of red appear in monochromatic looks, or with pops of black or white. Red is always great for colorblocking. Emerald: what a gorgeous jewel tone. Rich silks carry this luscious color well. 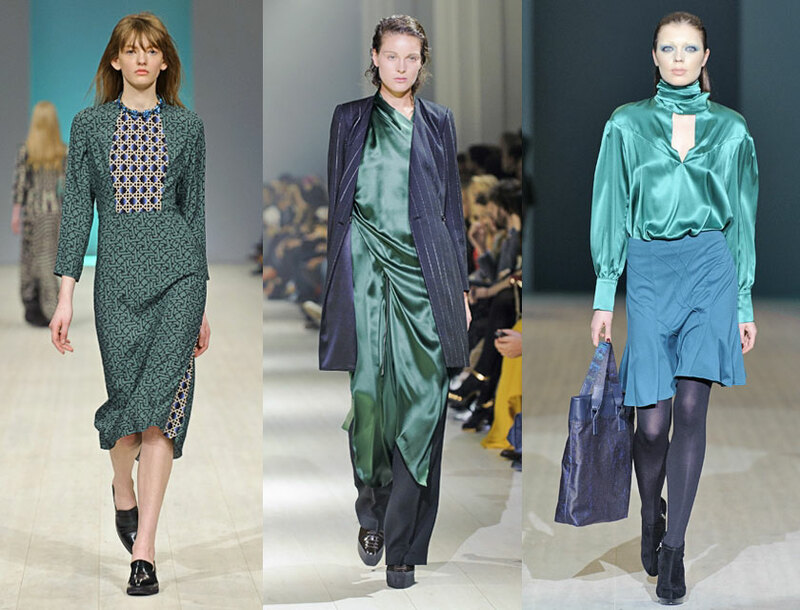 Emerald plays fabulously with deep shades of blue such as navy and teal, as seen at Litkovskaya and Nadya Dzyak. Geometric shapes take over prints as the pattern of choice, particularly in outerwear. Classics like houndstooth become digitized into large, black and white parallelograms at Vika Gazinskaya. 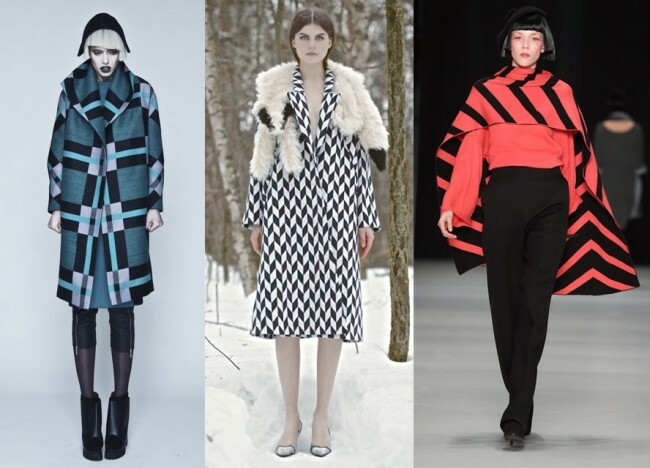 The geometric prints this Fall are huge: think blown-up plaids and bold thick chevron stripes. 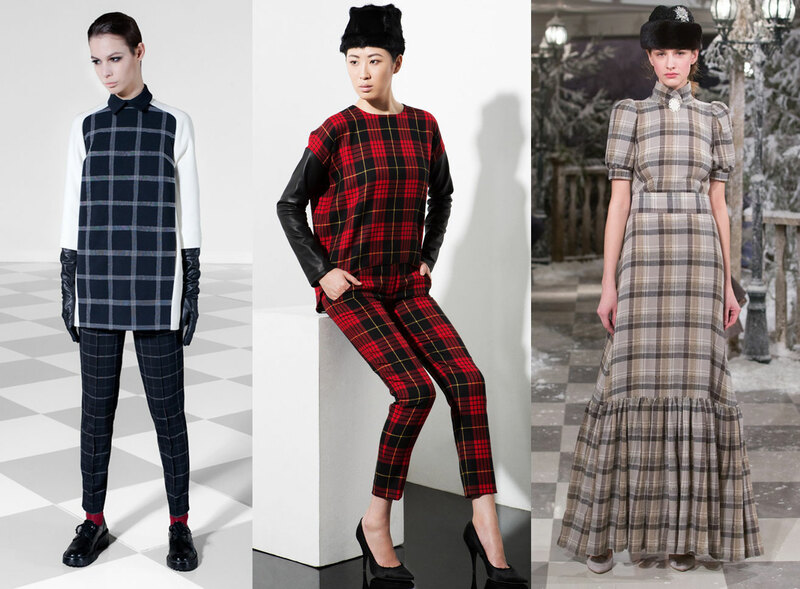 Plaid-on-plaid is no longer a crime. It is okay to be matchy-matchy in this print. Plaid tops and plaid pants are most popular in this arena. Bring on the sheen! 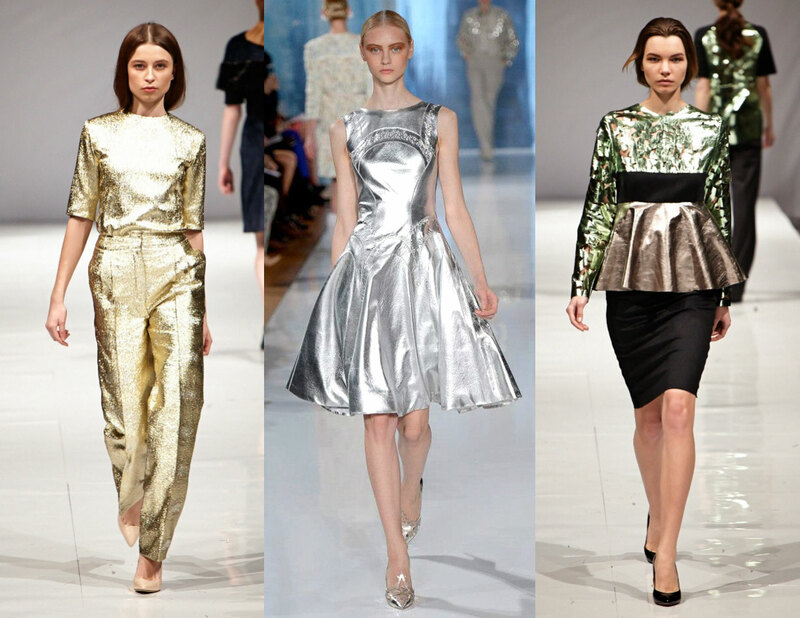 Metallic outfits are the ultimate luxe looks. They show that you are polished, and even a little ahead of your time. 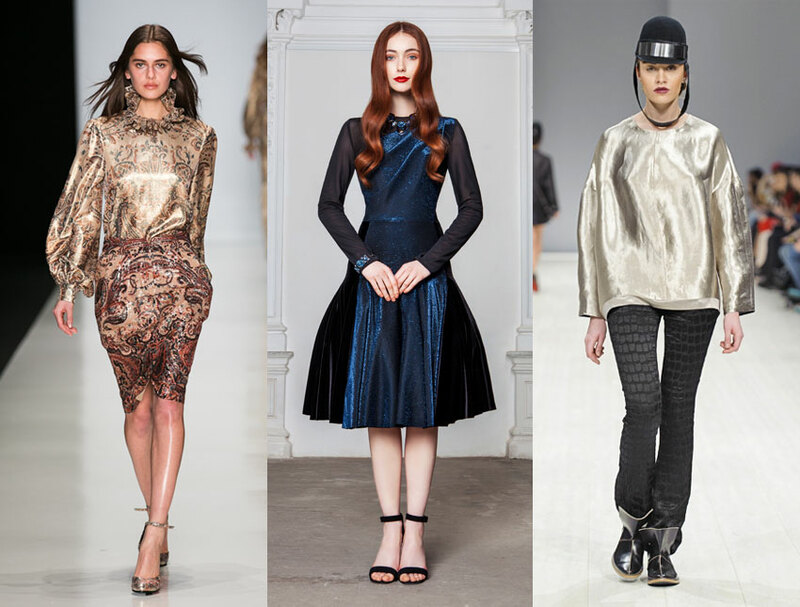 These heavy metals make for great party attire. Quilting is sporty, if not also a minor nod to Chanel, the epitome of women’s sportswear. 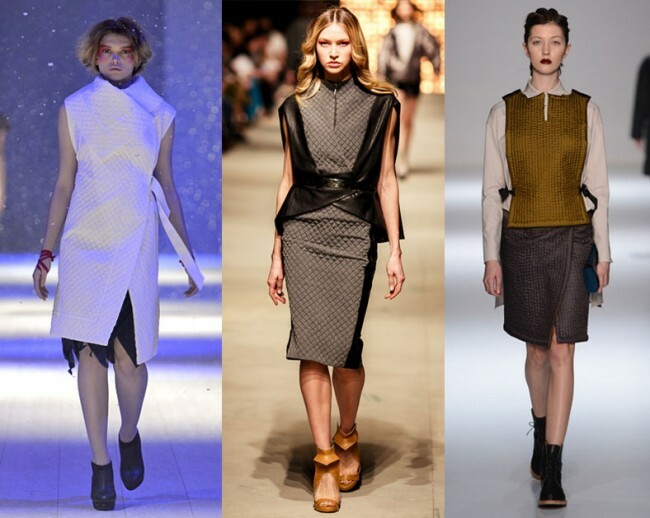 Quilting for fall has taken an asymmetrical turn for the contemporary. Angular lines and color-blocks are an excellent complement to this textured fabric. 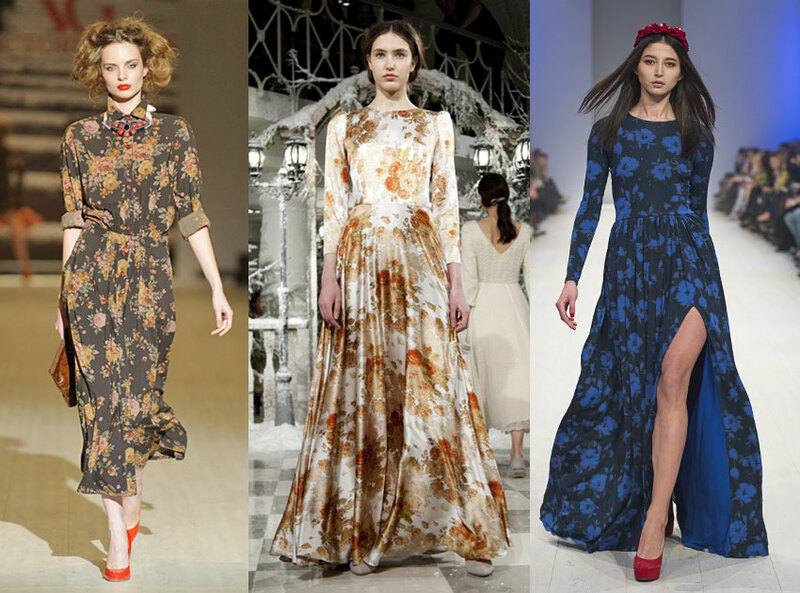 Feminine whimsy comes alive in florals. 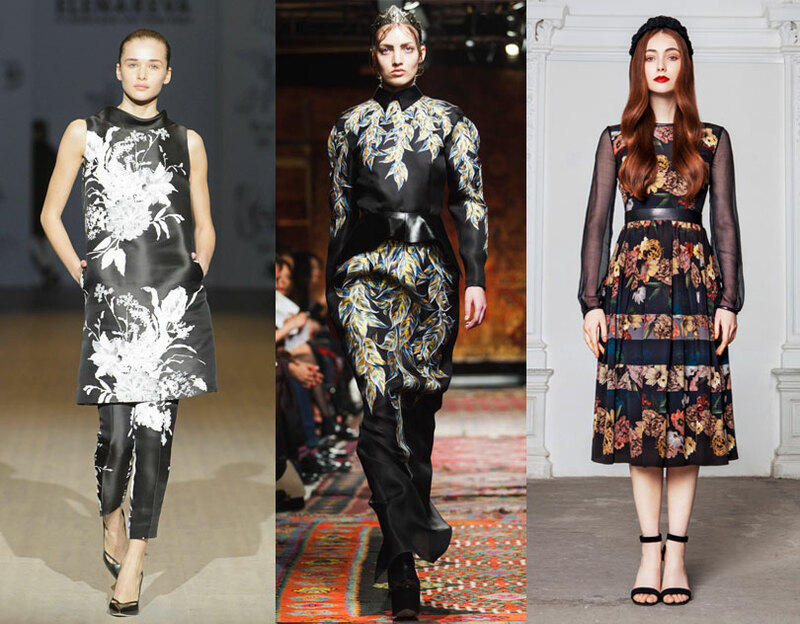 For maximum effect this fall, choose black-ground floral patterns: the dark background is dramatic and makes the flowers really pop. LUBLU Kira Plastinina brings newness to the floral trend by breaking up the print with thick black stripes. Keep it covered where it matters most: this seems to be the mantra when it comes to transparent looks. Sheer fabrics are used in new ways, exposing legs and midriffs. 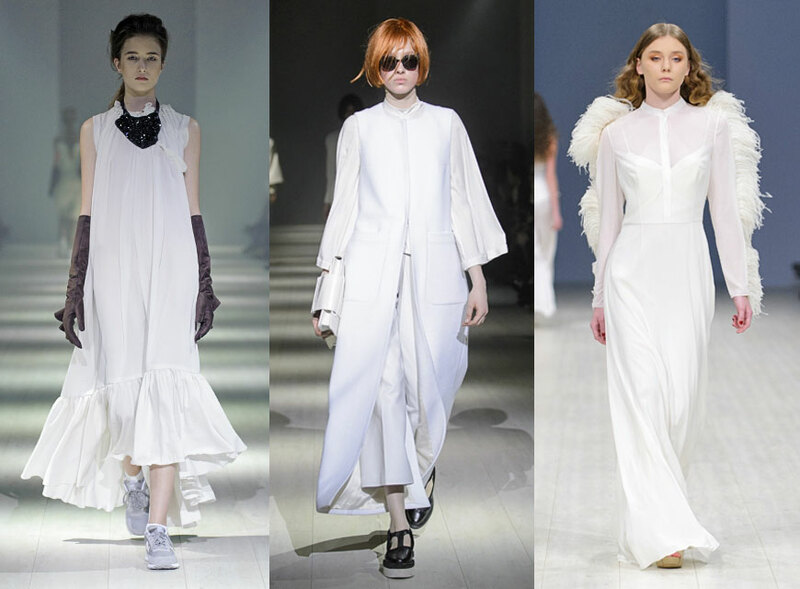 Mini dresses with sheer maxi overlays that graze the ground are most popular, as well as see-through utility shirts with opaque pockets on the chest.